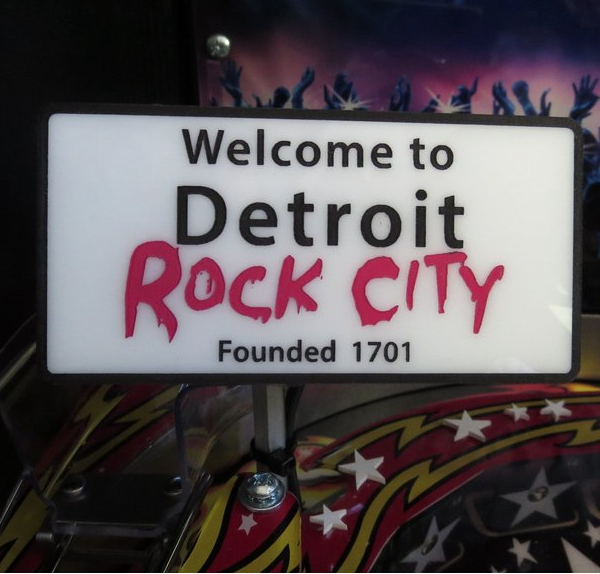 Laser Etched and hand painted. 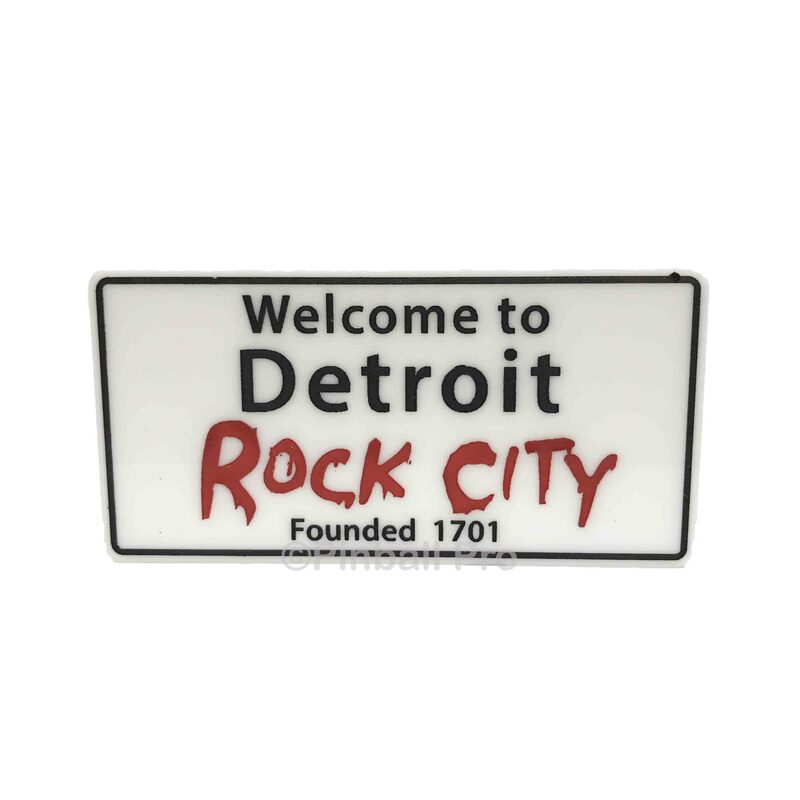 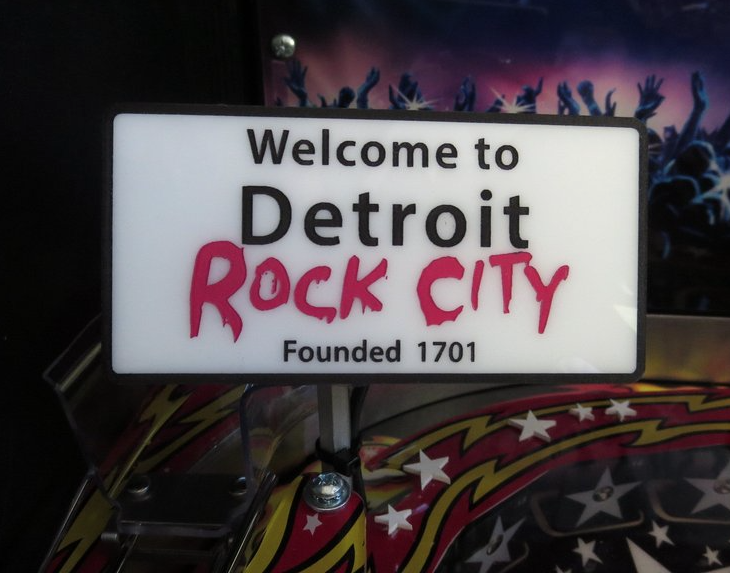 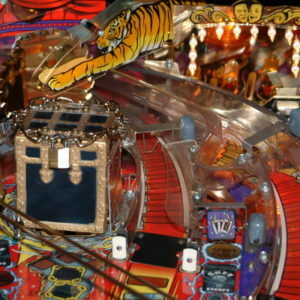 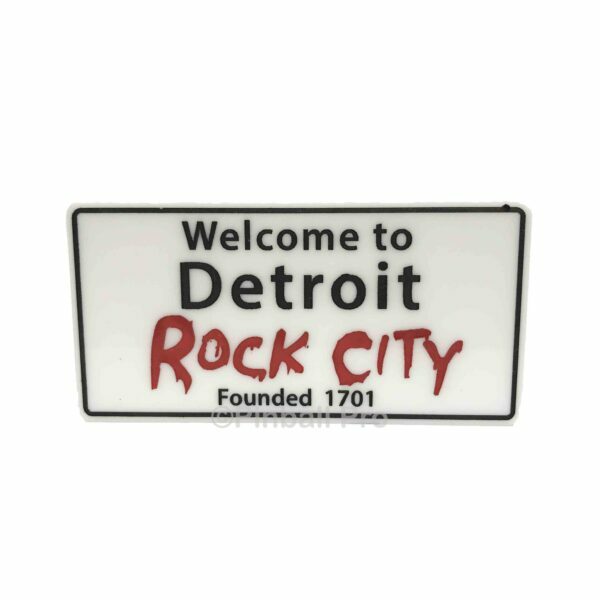 Dress up your Kiss Pro Pinball Machine with this Welcome to Detroit Sign Mod. 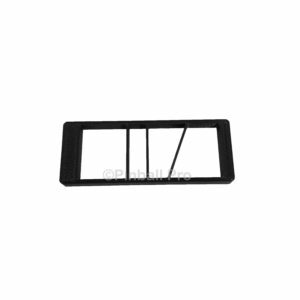 Mounts with attached universal bracket and hides the switch at the top of the ramp.